Why have a cup of Black Currant Tea? Well, it's the perfect tea to ward off inflammations, fight the onset of cold symptoms and provide you with the many benefits that vitamin C has to offer. But what else can a berry full of vitamin C do for you? Black currants (in Latin, ribes nigrum), popular in Eastern Europe and Russia, come from a perennial plant native to central and northern Asia. This small shrub grows to 1-2m in height and it has alternate leaves, 3-5cm long and broad, with a serrated edge. Resistant to cold, you can find black currant shrubs growing spontaneously in woods. Its flowers are yellow green on the outside and reddish on the inside, with 4-6mm in diameter. Black currant fruits and leaves are harvested after complete maturing of the fruits, small edible berries presenting a very dark purple colour. Black Currant tea infusion first brought to the public attention in Europe by the abbot Bailley de Montaran of the Dijon Monastery, and so has been used since the Middle Ages as a medicinal tea. During World War II, in the UK, it was hard to find most fruits rich in vitamin C, such as oranges. Since black currant berries are very rich in vitamin C and are well suited to the British climate, it only made sense that the government should promote its prodution during wartime. In the US, currant farming was banned in the early 1900’s and so black currants became a rare fruit. This ban was enforced because black currant farming was considered a threat to the logging industry. Nowadays, in some states the ban has been lifted and as a result black currants can once again regain their lost popularity. In Russia, black currants leaves are used to flavour preserves and teas, but you are more likely to come across products made directly from black currant berries such as juice, syrup, jelly, and liqueur. But don’t be fooled by some black currant teas that you may find on sale. Most varieties actually include black tea leaves and black currant flavour. If you wish to find a caffeine free beverage, you should make this tea made from the leaves and fruit of the black currant bush. With fruity sweet taste, black currant tea has the potential to inhibit inflammation mechanisms that may originate heart disease, cancer and microbial infections. Let’s find out what other health benefits black currant tea can offer you. This berry has very high levels of vitamin C, even higher than oranges, and has good levels of potassium, phosphorus, iron and vitamin B5. With a range of other essential nutrients it helps your body to perform its basic functions. Tea made with black currants contains tannins, salts, antioxidants and anthocyanins which are compounds that are naturally found in these berries. Black currant infusion acts as a health tonic, thus maintaining fluid balance in the body. Berries contain anthocyanins which are useful for tissue drainage, vital to such ailments as inflammations, arthritis, gout and prostatitis. 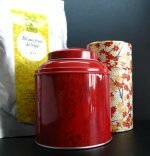 The tea will help to cleanses the tissue internally through the restoration processes of the body. This tea boosts the immune system, which in turn protects you against the changing weather and polluting environments. It’s a great source of vitamin C, beneficial fatty acids, polysaccharins and antioxidants. The latter protect you and act as an antiaging agent and help you fight free radicals responsible for growth and reocurrence of cancer. Drinking black currant tea on a daily basis will help lower cardiovascular diseases and reduce the risk of stroke. It is considered a good remedy for arteriosclerosis. It increases micro-circulation, helpful if you suffer from varicose veins. The anthocyanins in this tea help you prevent obesity and diabetes. Have it at your table after meals, as it stimulates digestion. It helps to reduce heartburn, promoting vitality and energy, thus making it a great way to kick off any exercise plan. A black currant infusion acts as a vermifuge for intestinal parasites and as a remedy for diarrhea and dysentery. Tea made from leaves of the black currant bush may be beneficial if you are suffering from oliguria (the inability to urinate), making this a wonderful diuretic tea with cleansing properties. It also helps to treat kidney stones and improves the function of the kidneys, liver (helping treat jaundice), pancreas and spleen, by reducing pancreatic swelling and lowering sugar levels. The young black currant roots are helpful against eruptive fevers, because when you drink this tea, it promotes sweating, bringing down high temperatures. It offers a soothing action for sore throats and mouth ulcers, as berries are filled with tannins that fight bacteria when you feel those symptoms of cold coming on. Black currant tea may bring relief to acute and chronic allergies and allergic arhinitis. It helps to regulate the respiratory system, increasing immunity and treating bronchial asthma. Black currant herbal tea gives you a steady energy level throughout the day which is great if you feel tired and overworked. It may help to enhance your memory and prevent neural diseases such as Alzheimer’s. It is a caffeine free tea, but you should beware of black tea blends that only have black currant flavouring and none of the actual benefits of the herb. Black currant tea improves circulation, hormonal regulation and reduces water retention and headaches in menopausal women. It promotes healthy teeth and bones. A black currant infusion may help to deal with skin problems such as dermatitis, psoriasis or eczemas, due to its internal cleansing action. Your healthy skin will serve as a mirror to your well cleansed body, free from harmful toxins. Another great benefit of this tea is that it may help to improve visual acuity, both in terms of night vision and overall vision. Externally, black currant tea may be used to kill off bacteria in abscesses, boils, contusions, insect bites and also prove itself useful in compresses for poorly healing wounds. and black tea blends here! Are you pregnant? Then, again, be careful with blends that have black tea leaves due to high caffeine content that may be harmful to the baby. As for black currant infusions that are made purely from leaves or berries, they too are not safe for you if you are pregnant or breastfeeding. Also, it’s best not to give black currant tea to children or elderly people. It should be avoided by people with haemophilia or on anticoagulants (blood thinners), and blood pressure medication as this increases the effects of the medication. If you love the taste of this tea so much that you simply can’t live without it, then just make sure to check with your doctor first. On cold winter days, this tea will seem like the best thing on Earth, however, do not drink too much as it may cause diarrhea and mild gastrointestinal symptoms. Ready to make this wonderfully tasting tea? Should you make your tea from leaves or from black currant berries? Well, the benefits of black currants are greater when leaves are dried and used in tea. However, you can also use dried fruits. Berries are ready for picking when almost black, they ripen in August. Leaves, on the other hand, should be picked in early spring, before the insects can damage them. Try to avoid picking when it damp or wet out, because this may spoil your leaves when stored for later use. How to make black currant tea from leaves: Use 2 teaspoons of chopped leaves to 250ml of boiled water and let rest for a few minutes. How to make it from dried fruit: Add a teaspoon of dried fruits to 250ml of water and then put it over the stove until it boils. As soon as the water starts bubbling, turn off heat and then let your tea rest for 30 minutes. You can always try the option of infusing dried fruit and leaves together. This tea may be served hot, sweetened with sugar as it has a sharp taste, more astringent than that of blueberries. It is purple in colour so it can also make quite a festive and tasty iced tea. Take this tea 3 times a day between meals for periods of 5-6 months. Buy Your Tea with Black Currant Today! 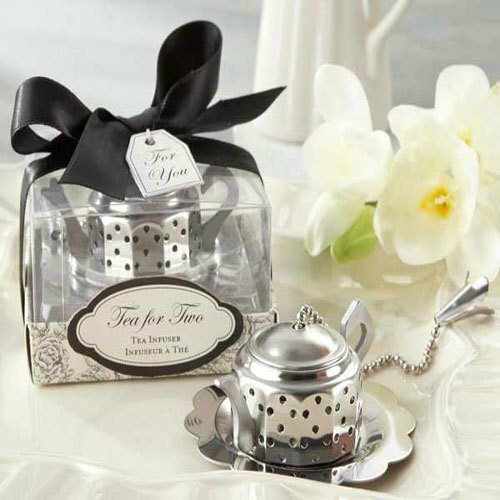 Click on the image or on the link below to purchase from Art of Tea your Vanilla Berry Truffle Tea. 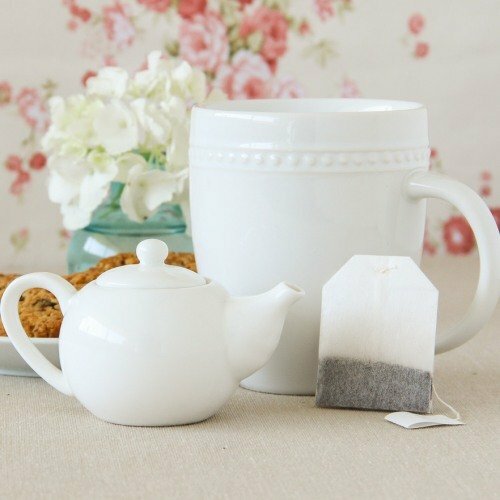 Taste this wonderful tea with black currants and flavored with vanilla and white chocolate. With a base of rooibos tea, this is a caffeine free tea blend perfect for you to enjoy after your meals as a sweet desert. Try Vanilla Berry Truffle Tea now! Black currant tea is so tasty and what can be better than such a wonderful source of benefits of vitamin C?